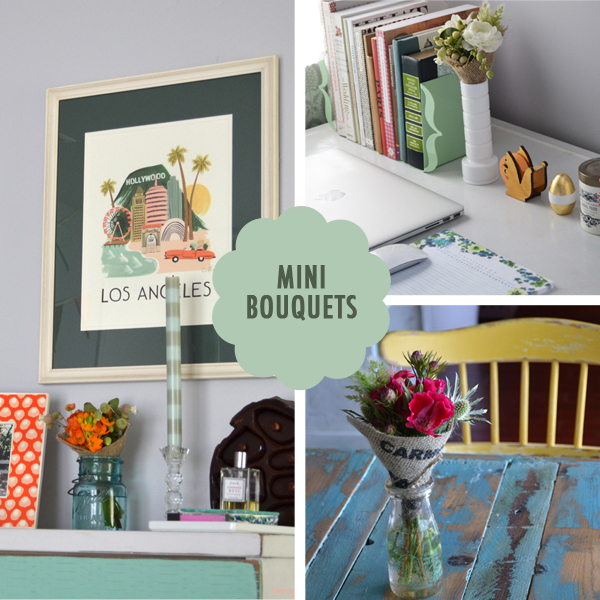 Instead of spending your flower budget on one big, bountiful arrangement, pick up several mini bouquets and place them all around the house. You’ll be greeted by fresh flowers in every room you walk into, but it won’t set you back a ton. 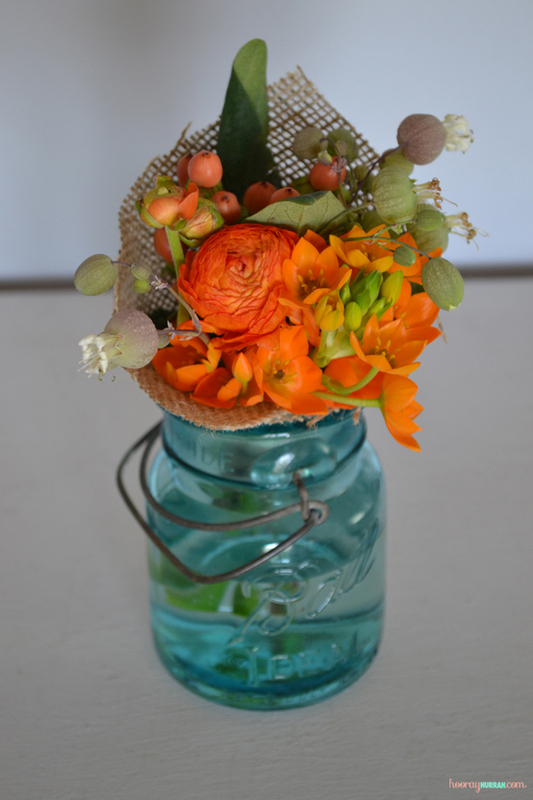 It’s the perfect easy way to brighten up your desk or vanity or breakfast nook. 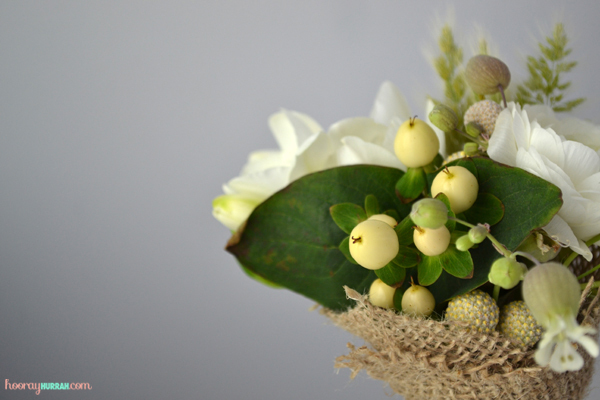 And if you have overnight guests coming to stay with you, imagine what a pleasant touch a mini bouquet on the nightstand would make! 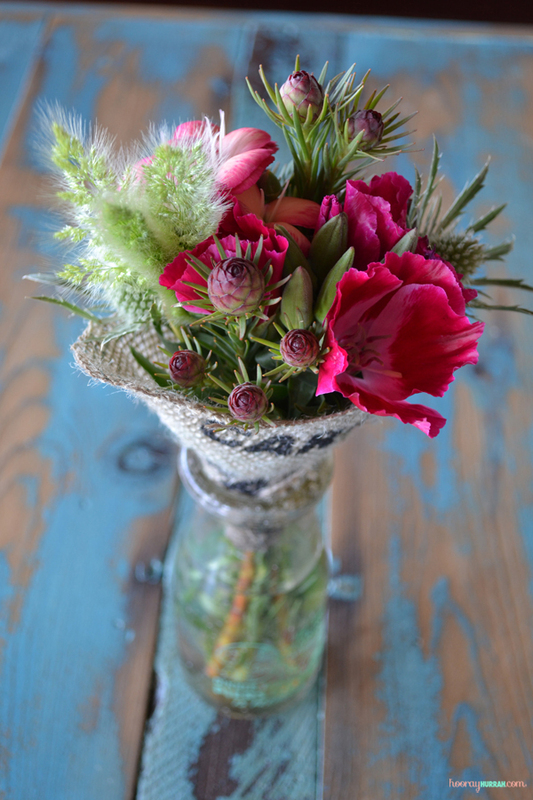 Clementine Floral Works in Silver Lake makes the most beautiful little burlap-wrapped bouquets for $8 a pop. I took home three this week and placed them on my desk, my dresser, and our kitchen table. I feel like I have flowers, flowers, everywhere, but the whole thing set me back a grand total of $25. I’m also a big fan of billy balls like the ones in this post because they dry beautifully. The billy balls on top of my bookcase were actually about 6 months old, but you’d never know the difference from fresh ones! 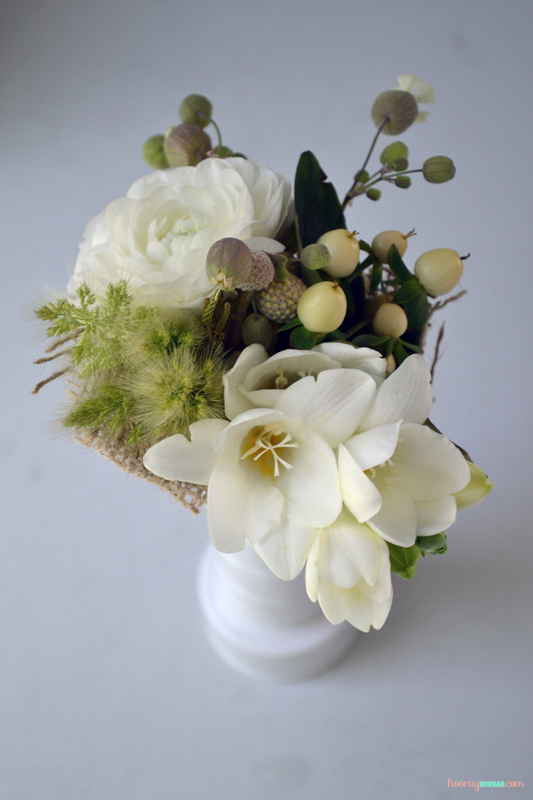 This entry was posted in Decor + DIY, Nesting and tagged bouquet, budget, decor, flower, flowers, nesting. Bookmark the permalink.